You may also see our recommended dress code lists through Discount Dance Supply. 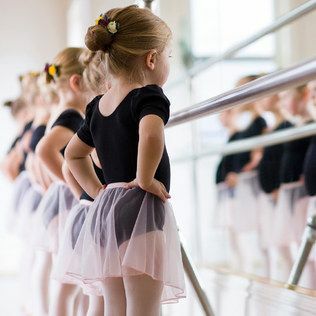 Ballet: Pink or black leotard, ballet pink tights, canvas or leather ballet shoes (split sole okay for ages 7-12). Tutus are permitted up to age 6. 7-12 wrap skirts only please. Hair is to be tied back, preferably in a bun. Jazz or Hip hop: black leggings or dance/workout pants, dance or sports top or fitted t-shirt. Hair secured in ponytail. Tan jazz shoes. Combo class: leotard and tights (color of choice) ballet pink ballet shoes and black tap shoes. Hair secured in bun. We recommend Discount Dance Supply in Mission Viejo or Santa Ana. Please use the OCDP Program code 50322 for 10% off your first order. Shoes may also be found at some Payless Shoes or Target (ballet) but please call ahead to check stock. Street clothes such as baggy t-shirts, jeans, dresses or open toe shoes are not permitted. This is for the safety of your dancer.